Should be a little part. Ere I would love at all. 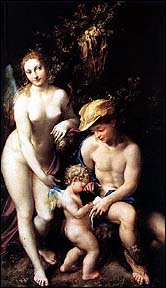 Correggio. The Education of Cupid. ca 1528. London, Lawrence & Bullen, 1891. 33. Created by Anniina Jokinen on October 17, 1998.